The J or Z train to The Bowery. Exit onto The Bowery and walk North. The B and D train to Grand St. Walk West along Grand St and turn right at The Bowery. The restaurant will be on your right on the east side of the street. The F train to 2nd Ave. Exit onto Houston and walk west. Make a left onto The Bowery and walk South. We arrived there and our table was unavailable, quickly they give us a cocktail on them and less than 5 minutes we’re seated in a better table with some free and delicious starters. The food and drinks were delicious, best hamburguer in my entire life, amazing place, highly recommended! Had a great experience and loved the food!! Everything we tried was sooo delicious! Ambiance branchée. Menu dégustation original, plein de légumes. Beaucoup de fraîcheur. Steak was overcooked and a bit tough. The ambiance was as expected. Took my husband out for his birthday and had a great time at the lounge after. Great food. Excellent service. Our waiter answered all our questions with great patience and verified all our food restrictions with the chef. Our dishes were adapted to our needs and tasted great. Would definitely come again. 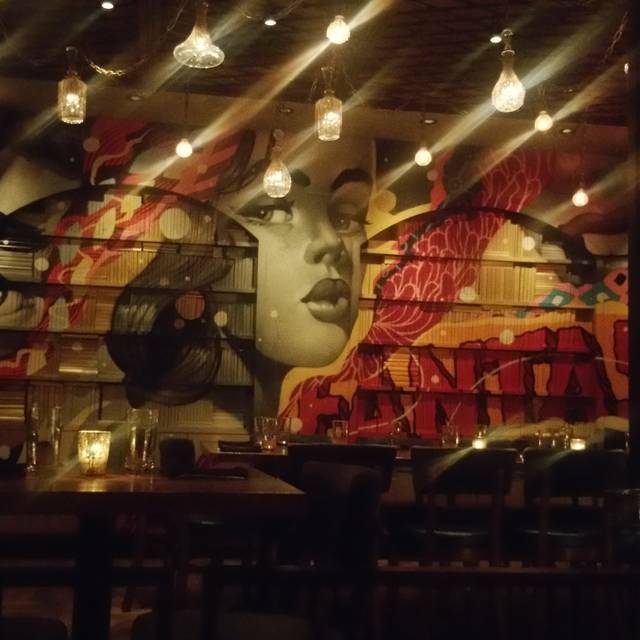 An amazing experience with a hip vibe that takes you on a culinary and visual adventure. They had a special cocktail for Autism Awareness month and we hope they keep it because it was fabulous!! The vegan enchiladas are also a new favorite! It was great for a girls night. Just wished the service at front desk was better! The food was good but it was so loud we couldn’t have a conversation. I walked out with a headache at the end!!!! Overall great service and food had a wonderful evening. Good was great! Service was on point. Noise was a little too loud. I couldn't hear my friend while we were talking. The place we super busy on a Wedns night..I was impressed! 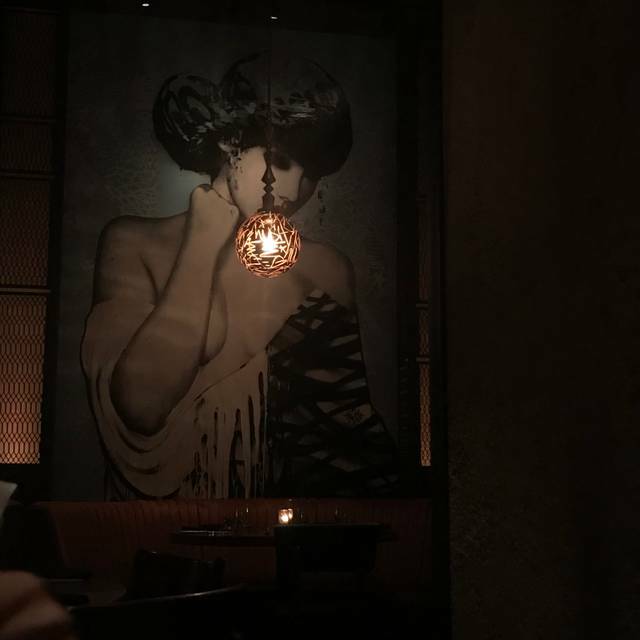 While visiting NYC before heading to West Point, we came here for my daughter's 18th birthday bc it was a Chris Santos restaurant and we wanted to go somewhere NY trendy. The place was decorated fabulously and the atmosphere was awesome. However, for a $200+ meal for 4 people, 2 of which who were not drinking, the food was just ok. The dumplings were good, the sliders were nothing special, the macaroni was not good (we are from the south and we love all things mac n cheese). I was expecting a fairly expensive meal, but it was just average for the cost. I guess I was expecting taste explosions since they sure are quick to critique the contestants on Chopped for average food. 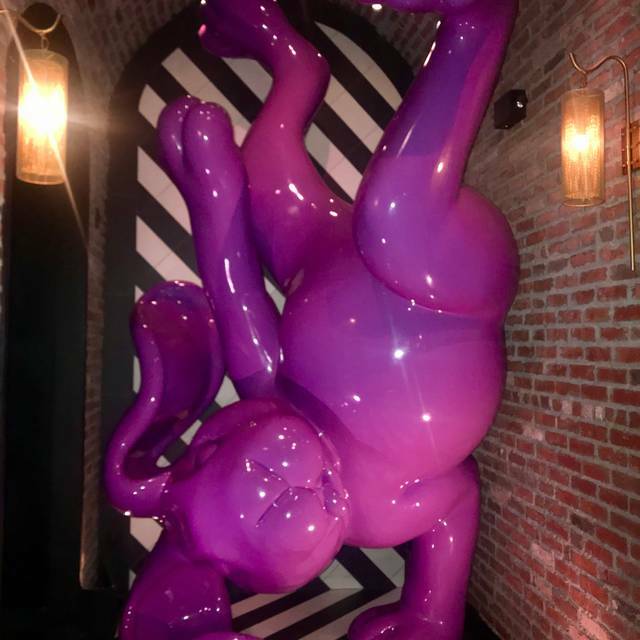 Love this place, the artwork and décor are wonderful the food is flavourful and delicious (especially the miso eggplant and crispy bao buns) and the desserts are out of this world! I haven't had one dessert from Vandal that I didn't like. if you go in April definitely get the Blueberry Lemon Crepe Cake for Autism awareness month!!! 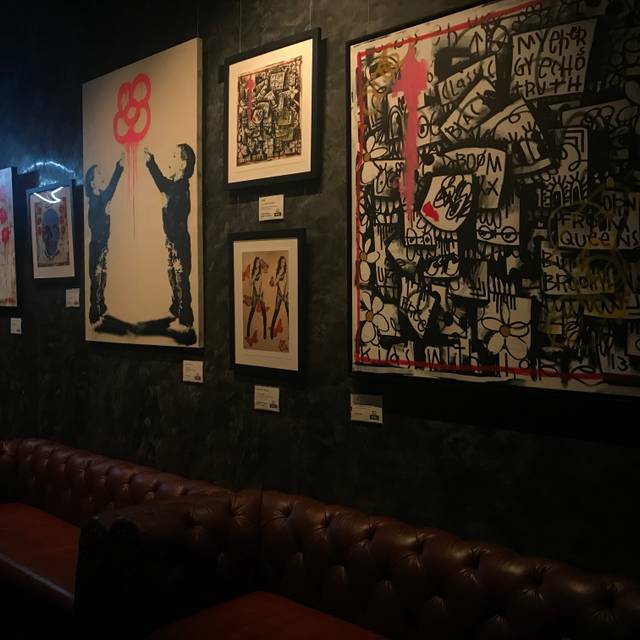 Gorgeous space with some impressive and authentic street art displays which are worth the trip all by themselves. Food was good, better than one would expect from a Clubstaurant. 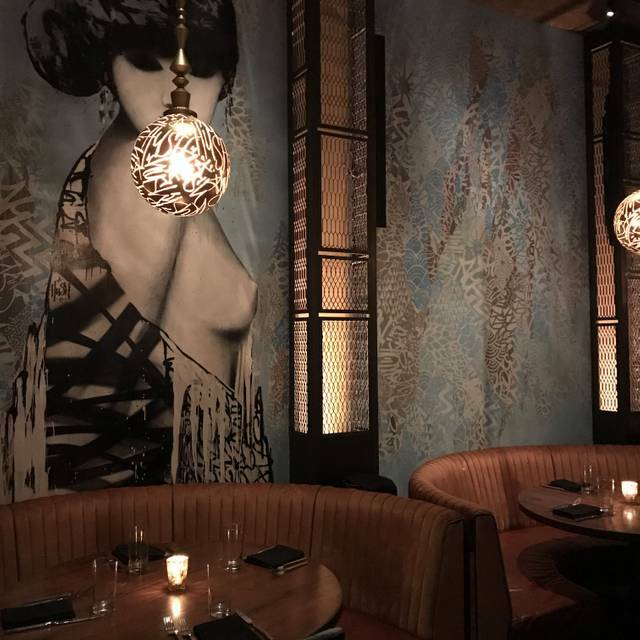 We had the ceviche and crispy bao buns, I would suggest both and we shared the Chicken Parm and Skirt Steak with a mac and cheese side. The food was enough for 3 (we were only 2), steak was cooked perfectly, chicken parm was plated, sliced and served like a pizza, which was perfect for sharing. Service was on par and attentive. The dining room is super loud though, fun but not for deep conversation. It was My husband ‘s birthday. Chris Santos is unbelievable chef. The food was amazing. Will come back. The ambiance and food was great. The Bartender was ok, could have been a little more personable but knew what he was doing. Reception ladies were very professional and accomodating. Coat check guys were cool. Food, was really good. Was suprised based on choices. Our waitress not sure about her. She was ok. Not sure if the right position for her personality. no wait time. reservations run on time. food and drinks were great! music was great! cant wait to return for another visit! Music was so loud that we couldn’t hear each other! I lost my voice just trying to speak! 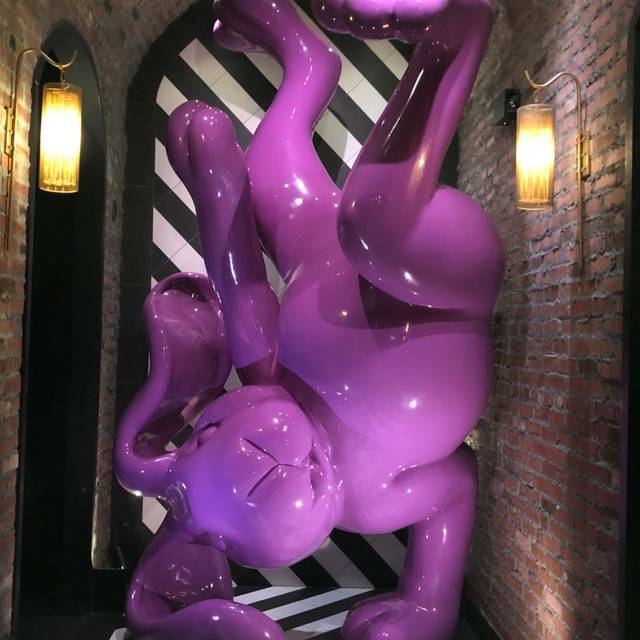 Funky, artistic vibe, delicious food (Tortilla soup dumplings are a must! ), and even a bit of entertainment with the electric violinist. It was quite loud inside, but everything else made up for that. Food was outstanding! Save room for dessert! Everything was perfect. Our waiter Rich was amazing! 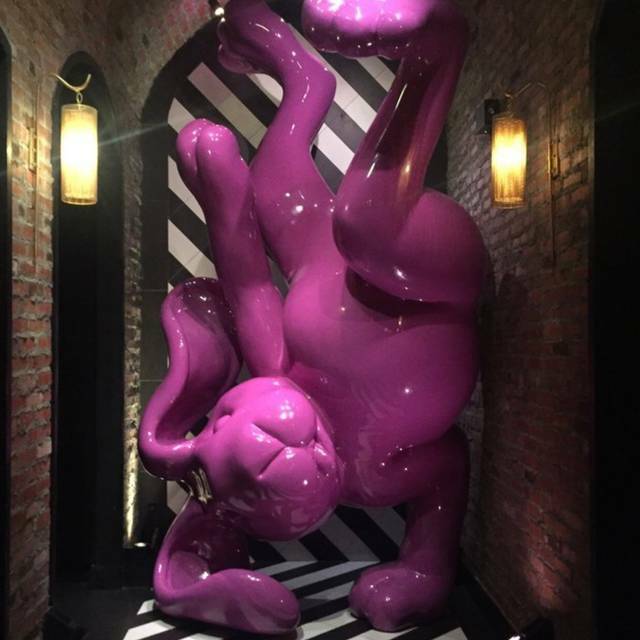 Beautiful upscale decor with a LES feel. Our server was top notch in recommending the perfect dishes, the drinks were spot on, and the music was great (hip hop/R&B) but not overbearing for dinner. Loved loved LOVED this place and will definitely be returning! I was not empress with food . Drinks and services were good. Too expensive for quality they provided. 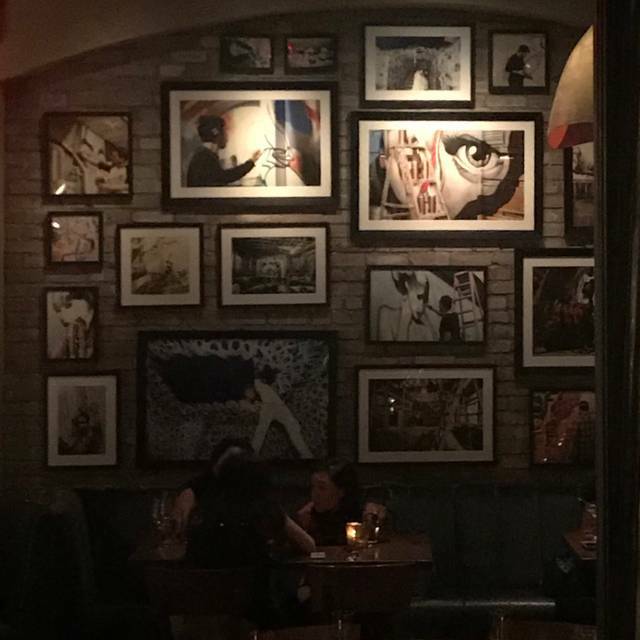 The ambiance of this place is really cool and features a bunch of street art by famous artists. It's a huge restaurant with multiple rooms. The cocktails were creative and typical NYC prices. It's definitely a small plates/shared plates type of restauarnt. For apps we had the steak tartare and wild mushroom pizza appetizers which were both amazing. For the entrees we had the skirt steak which had an asian flair and was cooked perfectly, the branzino which had a miso sauce on the side which was good, and the chicken parm which was served like a pizza and delicious. 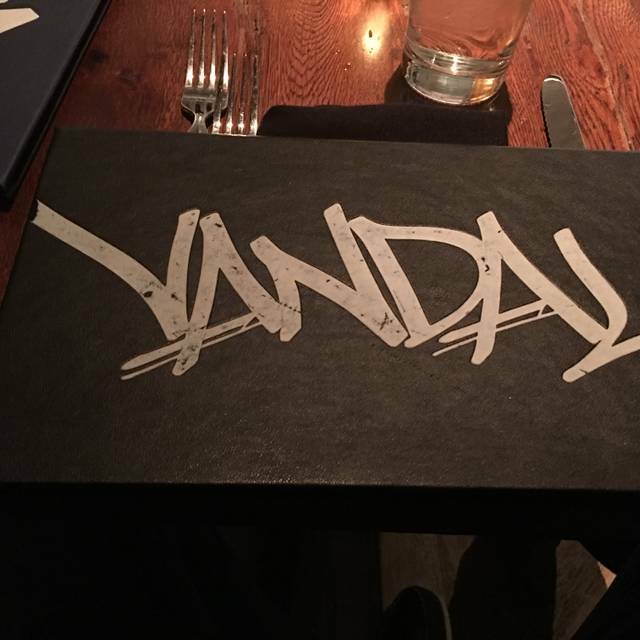 Vandal is good for a special occasion or for a bigger group dinner. It was a nice dining experience, food can be pricey but the ambiance is nice. Good for a date night or Bday dinner. This is a great place for any occasion. The food is excellent and I give everything a 10 except for the price point of the drinks. While the presentation is nice they are overpriced. Service war leider enttäuschend und zum Ende hin unsichtbar! Great for a date night! or a night out with friends. Food was pretty good, but the experience wasn’t anything too special. The service there is really good, they really seem to value customer care and its very refreshing to see for such a large and popular place. Its beautiful inside, spacious and comfortable. Some appetizer portions can be larger, but quality is good so its a minor complaint. Overall the fact that they hire people that care about doing a good job makes the money spent worth it.